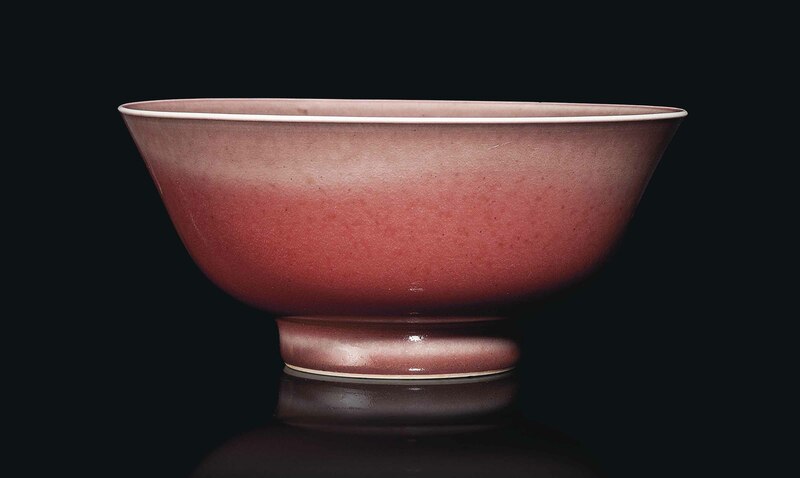 The bowl has deep rounded sides rising from a straight foot to a gently flaring rim, covered overall with a peachbloom-coloured glaze with raspberry speckles, thinning to a greyish-pink tone towards the rim and stopping neatly around the foot. The base is glazed white. 7.1/4 in. (18.5 cm.) diam.